Mondays and Wednesdays are the best days to bond with friends! 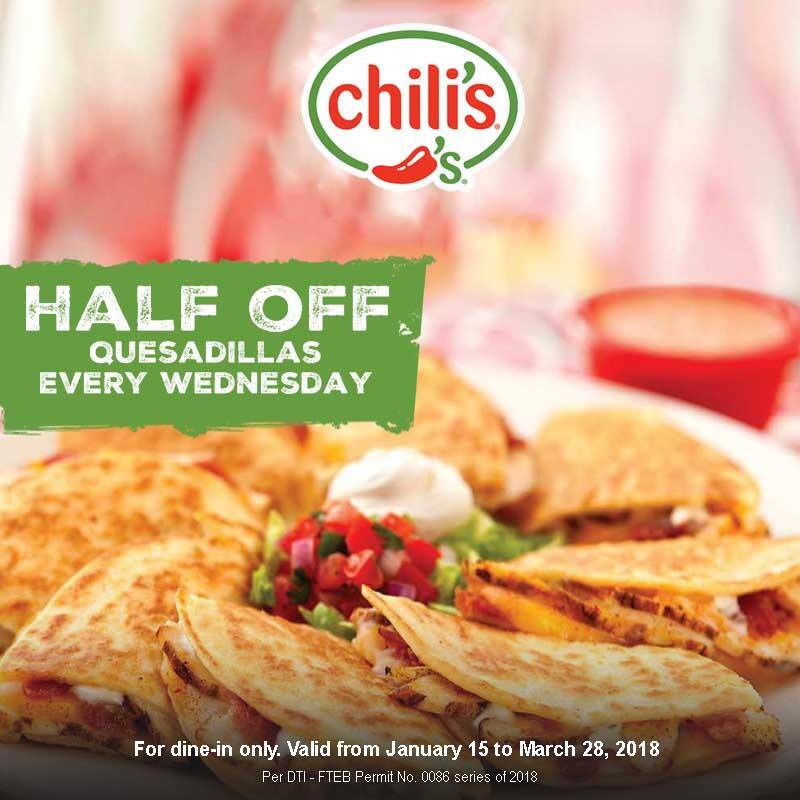 Check out Chili's Wings Monday Promo, and Chili's Quesadillas Half-Off Wednesday Promo happening until March 28, 2018. 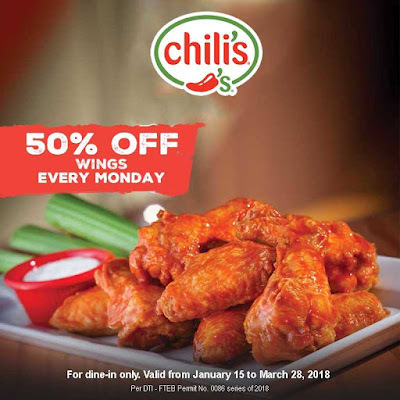 It's Chili's Wings day Monday! Visit Chili's every Monday and get their Signature Wings at 50% off. Promo runs all day on Mondays until March 26, 2018 for dine-in only. It's Half off Hump Day also at Chili's! Have their Quesadillas every Wednesday at half the price. Promo runs all day every Wednesday until March 28, 2017 for dine-in only. 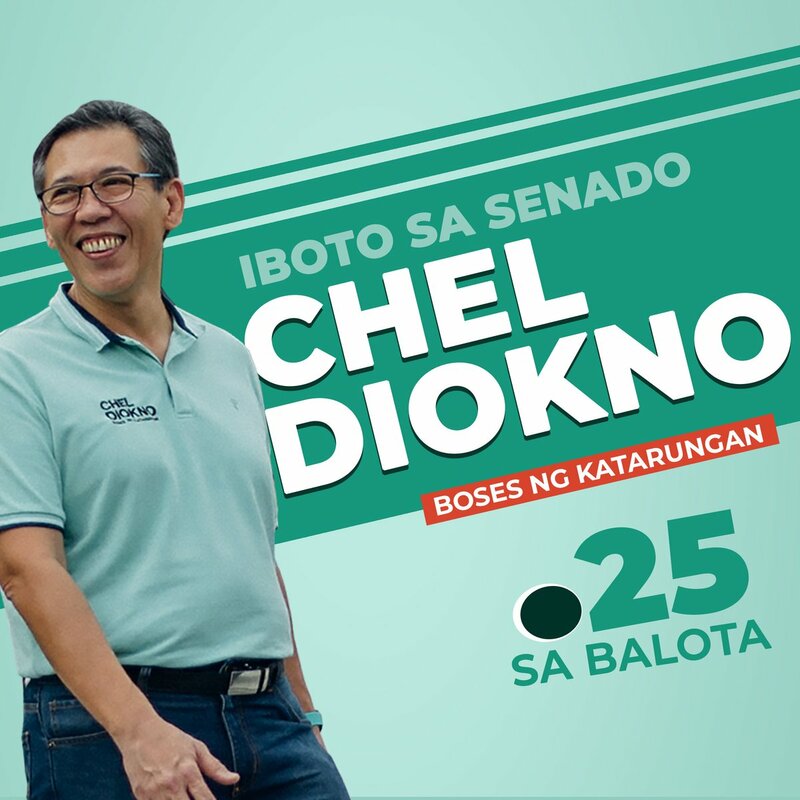 Visit Chili's branches at Greenbelt 5, Greenhills, Tomas Morato, Rockwell, Alabang Town Center, SM Megamall, Fairview Terraces, SM Mall of Asia, UP Town Center and Robinsons Galleria.